On Saturday, August 4, NoVA Christian Film sponsored a one-day Filmmaking Boot Camp at Cherrydale Baptist Church in Arlington, Virginia. The event was open to the public, and approximately 30 students signed up. The workshop provided an overview of filmmaking, covering everything from acting to directing, and even special effects. 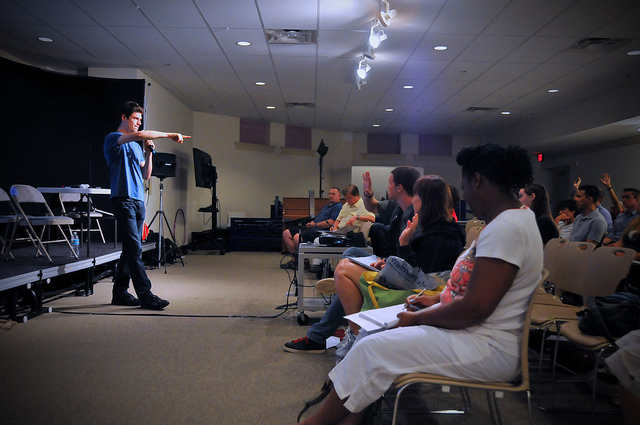 Stay tuned to NoVA Christian Film for more announcements of upcoming workshops!